Properties: The research from Avene Dermatological Laboratories on the perfect hydration of the eye resulted in a formula that guarantees increased hydration*. Result: Immediate and intense, long-lasting hydration of the skin. Optimum skin comfort is restored. Hydrance Optimale Light is a fluid non-greasy lotion. Its lightweight formula ensures a supple feel and a matt finish. 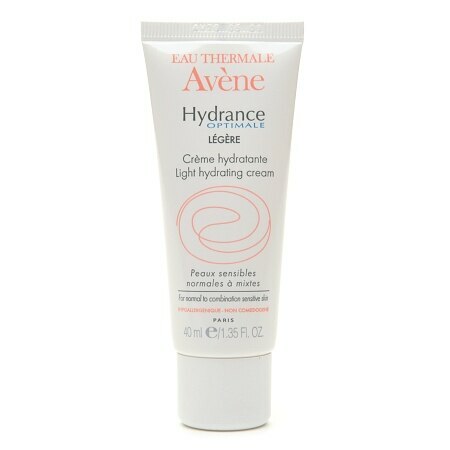 The Avene Dermatological Hydrotherapy Center in France, has treated sensitive skin and other skin disorders for over two centuries. Based on the soothing properties of Avene thermals spring water, proven effective by numerous scientific studies, Avene Dermatological Laboratories created a complete range of dermo - cosmetic products to care for sensitive skin. Guarantees of quality: Rigorously selected raw materials. Products manufactured and controlled under the strictest conditions. Tested on sensitive skin by dermatologists. Hypoallergenic and non - comedogenic. Apply in the morning and/or evening to face and neck. During sunny weather, use Hydrance Optimale UV in the morning. Daily moisturizer for normal to combination dehydrated sensitive skin.